We know that a unicorn is a mythical creature; magic is an illusion and children grow up all too fast. I say join your sons and daughters in their fantasies every so often. 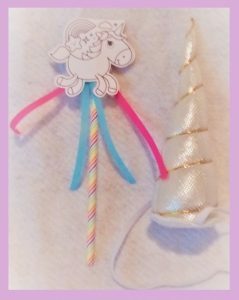 Here are 5 ideas to bring that unicorn magic home at least once upon a time. There is a big surprise at The End. 1. Did the Unicorn Fairy leave your anything?